1. Know your water footprint - The first step in saving water in your home is knowing how much you use daily. Checking your water meter regularly can help you gauge how much water you are using. This is also a great way for you to see your biggest water wasters once you start making changes to your water-saving habits. You may also want to consider tracking other ways your water footprint is being affected such as how much water the food you eat consumes. Figuring out your water footprint this way can also help you improve your diet. For example, beef consumes more water than chicken, or nectarines consume less water than mangoes. 2. Collect greywater - Collecting greywater from your washing machine, sinks, showers, and tubs is a great way to conserve water. Often this water is the biggest water expense in your home. Collecting greywater is a good option if you are looking to conserve water at home because it is essentially water that can be reused to water your plants or wash your car. Just make sure to use the greywater immediately instead of storing it as it will begin to breakdown and produce a bad smell when stored. 3. If it’s yellow, let it mellow- An easy way to use up collected greywater is to use it to flush your toilets. Toilets are the biggest water wasters in your home. Reducing the amount of times you flush your toilet can show significant difference in your water usage. This tip might not be for everyone, but conserving water this way could save on gallons of water. 4. Use music to time your shower - Cutting down on your shower time is another big way to save water in your home. One way to help you keep track of your shower time is to time yourself using music. On average your daily quick showers should last at most 5-6 minutes. Pick songs that average about this length and play them in your bathroom while you shower. Shortening your shower time can not only save water in your home but can be beneficial for your skin’s health as well because using water too often can cause drier skin. 5. 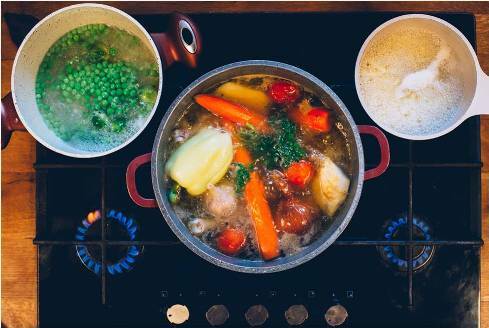 Save cooking water for soup stock - Even cooking can take using a lot of water such as boiling pasta or veggies. Instead of boiling pasta separately from your veggies, consider using the same water and pot for both. Usually that leftover cooking water goes down the drain, but a creative and nutritious way to conserve water in the kitchen is to save your cooking water and reuse it for a new dish. Once you are done cooking save that water for later to make stocks for soups. 6. Use leftover water for plants - A big water waster in homes is leftover drinking water. If you have leftover drinking water from guests or still have some from an old water bottle, instead of throwing the water down the drain use it for watering both your indoor and outdoor plants. 7. Invest in a water filter - Another big water waster at home is bottled water. Instead of continuing to buy bottled water invest in a water filter and reusable water bottles for your drinking water. By using a water filter you not only save water but also help reduce your plastic usage. 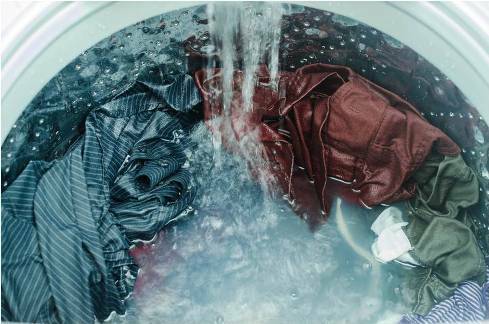 These creative ways to save water are great ways to help conserve a valuable resource. Implementing these eco-friendly habit into your home is a great way to reduce your impact on the environment and also educate your children on the importance of preservation.